Costs and rewards are important tools for analysing quantitative aspects of models like energy consumption and costs of maintenance and repair. 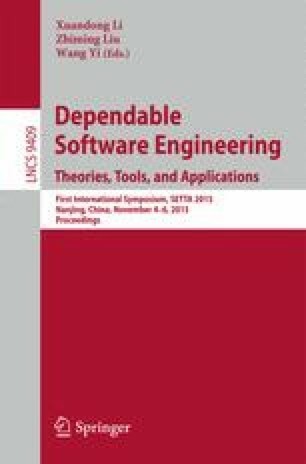 Under the assumption of transient costs, this paper considers the computation of expected cost-bounded rewards and cost-bounded reachability for Markov automata and stochastic games. We give a transformation of this class of properties to expected time-bounded rewards and time-bounded reachability, which can be computed by available algorithms. We prove the correctness of the transformation and show its effectiveness on a number of case studies. This work was partly supported by the German Research Council (DFG) as part of the Transregional Collaborative Research Center AVACS (SFB/TR 14), by the EU 7th Framework Programme under grant agreement no. 295261 (MEALS) and 318490 (SENSATION), by the CDZ project CAP (GZ 1023), and by the CAS/SAFEA International Partnership Program for Creative Research Teams.